With fresh snow in the forecast in Sunriver, it’s hard to wrap your mind around summer vacation, sunshine and days spent relaxing at the SHARC. Despite the pristine conditions at Mt. Bachelor, and believe us – it’s good and you should definitely come to Sunriver to ride the miles of terrain at our favorite mountain, summer beckons. As you begin to think about when you want to come to visit Sunriver and how many people will be in your party, we’ve gathered together some of our favorite Sunriver summer events so you can incorporate these activities into your plans. Locals often consider the Pacific Crest Endurance Sports Festival weekend the official kickoff to the summer season in Sunriver. If you plan on coming to Sunriver during this busy weekend, be sure to start looking for homes well in advance as most vacation rental companies will book up quickly. This multi-sports event has become a favorite of Pacific Northwest competitors. 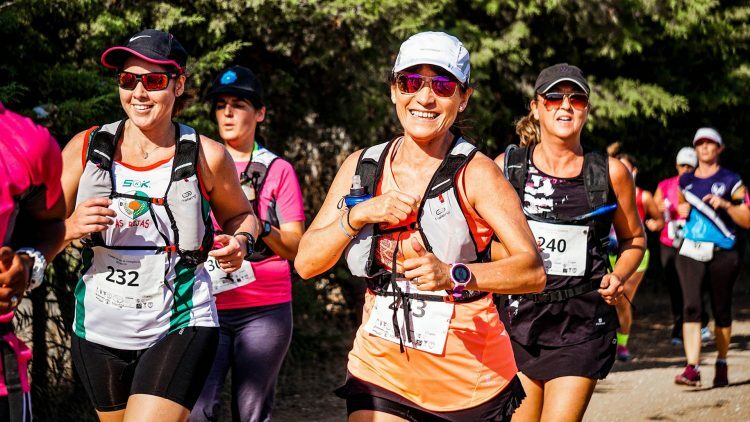 Choose from a variety of races including a marathon, half marathon, triathlon, duathlon, AquaBike, 5k and many more for an incredible race-cation. What better way to celebrate America than by heading to Sunriver to take in the fresh air, outdoor recreation and BBQ decks with stunning mountain views? While visiting during the 4th of July holiday, bring the whole family to The Village for a fun day filled with entertainment, food and games. Enter the watermelon eating contest, climb the rock wall or shop at local vendors all while enjoying live entertainment. Spend a beautiful summer day wandering through a sea of vintage and classic cars on display in The Village at Sunriver. Listen to live music as you admire cars from the ‘20s and ‘30s as well as the hot rods and muscle cars of the ‘70s and ‘80s. This event is free to attend! Each year, the Sunriver Art Fair attracts artists from across the country to display their work in a variety of mediums. From ceramics and sculpture to woodwork and mixed media, discover works of art at the Sunriver Art Fair, which was voted among the top 10 small town art fairs in the country. The event, sponsored by the Sunriver Women’s Club, donates proceeds to local non-profit agencies and includes free entertainment and a children’s hands-on art station. Fans of classical music flock to Sunriver in August of each year for the famous Sunriver Music Festival. Concerts take place at Sunriver Resort as well as in Bend at the Tower Theatre and Bend Church of the Nazarene. The festival includes four classical concerts as well as a pops concert, solo piano concert and Discover the Symphony concert. This year marks the 41st season of the Sunriver Music Festival. Racers love coming to Sunriver at the end of the summer to participate in the Sunriver Half Marathon for a Cause. The race benefits St. Charles Cancer Services, which means proceeds from the event stay in the Central Oregon community and helps individuals undergoing cancer treatment. Choose from half marathon, 10k, 5k and a kids dash race options. Tune in next month for our rundown of events and festivals happening this summer close to Sunriver — think Bend street festivals, La Pine Frontier Days and much more. Start planning your Sunriver summer vacation today. Contact the Reservations staff at Sunset Lodging in Sunriver for assistance finding the perfect vacation rental for your needs.